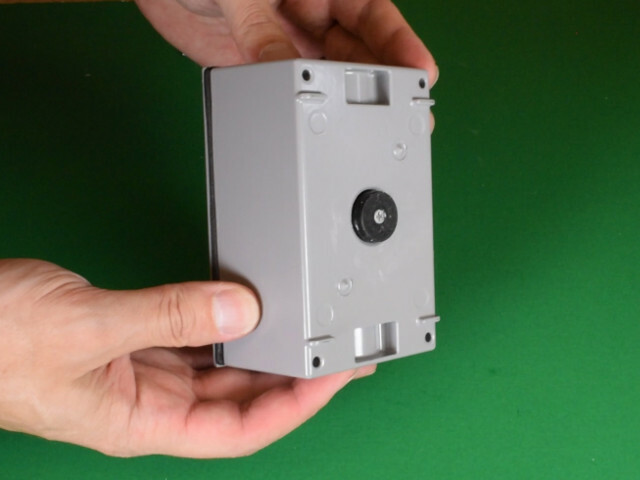 How can magnets be used to make creative, hidden geocaches? 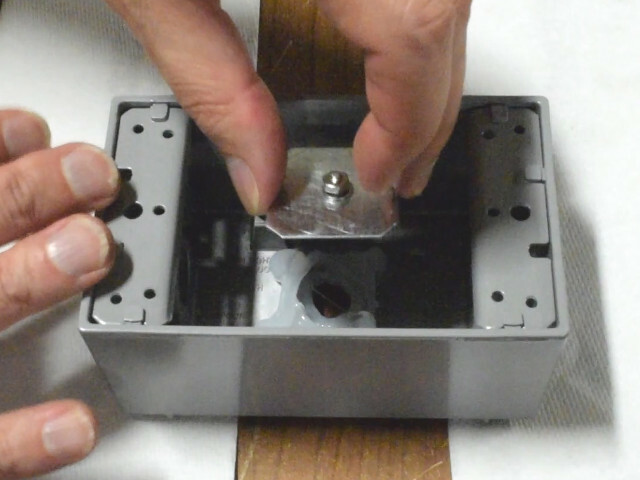 Read on to see how we used powerful neodymium magnets to make three different geocaching containers. Geocaching is a game/sport/activity where participants use a GPS to find hidden caches. It's like a technology-assisted treasure hunt. Caches are usually placed in nice locations for a walk or hike. Some might be in scenic, beautiful destinations, but many are in undiscovered places close to home. Geocaching often takes you to a place you might not have discovered otherwise. Geocaching.com has a short video on YouTube that sums it up pretty well. When you find a cache, there’s typically a paper log inside you can sign and date to show you found it. Some caches are tiny, only containing a small paper log. Others are larger, containing inexpensive items you can take or trade. It’s a fun excuse to get outside and take a walk, with a bit of treasure hunt thrown in to give it a goal. Most people who geocache just go out and find caches. There are a LOT of caches in the world, over 3 million right now. Where did they all come from? Enthusiastic geocachers place them. They’re made because people think it’s fun! There are special containers you can buy to use as the cache holder, but many make their own out of existing stuff. Ammo cans are popular, as well as water-tight plastic containers. Some caches are more sneaky than simple containers. Some are made out of everyday objects meant to be hidden in plain sight. We’re going to make three examples here. Our first cache can be hidden just about anywhere, but especially in wooded areas. It’s a log. We went outside into the woods and found a log that had been sitting for a long time. We sliced it in half and cored out a small opening large enough to hold a paper log (the thing you sign when you find it). We could have carved out a bigger opening that could hold more, but opted to keep it simple for our first attempt. Naturally, we chose magnets to hold it shut. 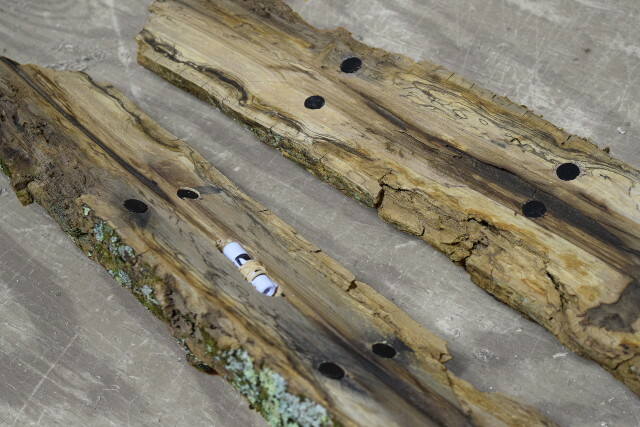 We drilled 1/2” diameter holes and pressed in four D84PC-BLK plastic coated magnets into each half of the log. We also used a dab of adhesive for extra security. Four pairs of magnets holds the log halves together quite nicely! The plastic coated magnets seemed like a good, waterproof choice for something that’s going to sit outside in the weather for a long time. We've hidden this log and it is active as a geocache, with several folks finding it already. Sorry, for this one, someone else was already FTF (First to Find). Here is the official link. The second cache we created mimics a regular bolt. Actually, it is a regular bolt! We bought a 3/4” diameter bolt from the local hardware store, along with a matching nut. Don’t get grade 8 bolts for this, because they’re harder to drill. The weakest we found was grade 5 bolts, and it was still a challenge to drill. We drilled out the center of the bolt to make space to store the paper log. Next we wanted to somehow make a waterproof cap, but also one that incorporated a magnet so we could stick it to a steel surface. We chose a 5/8” diameter x 1/8” thick DA2 disc magnet. In hindsight, a little more strength might have been nice. Next time, we’ll try a DA2-N52 or thicker DA3 disc. With a two-step process of filling in the space around the magnet with silicone, we sealed off the magnet from moisture and made a cap that will cover the hole in the bolt. In the end, it’s a nice bolt that can stick to a steel surface, hidden in plain sight! We’ve seen bolts and logs in our own geocaching searches, but wanted to also try something new. What inexpensive waterproof box can we find to make a cache out of? A quick walk through the aisles of our local hardware store revealed an interesting idea: the waterproof electrical box for a 2-plug outlet. 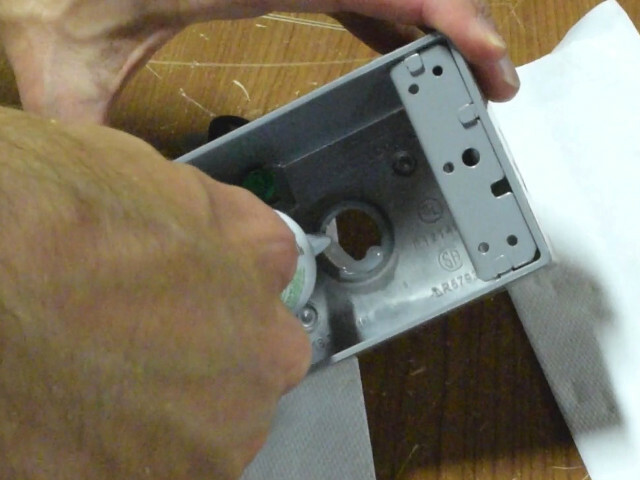 It comes with all the gaskets and stuff to make it waterproof – all we had to do was find a way to incorporate a magnet. We like the idea of this one and how it might be hidden in plain sight. But we thought of a problem that didn’t occur to us until after we made it and took a walk to place it: What about muggles (people who don’t know about geocaching)? We could discreetly place it outside a building somewhere, but with people always looking for a place to charge their phone, is this one destined to be found by non-geocachers way too often? It was fun to make, but maybe it’s not such a good idea after all. 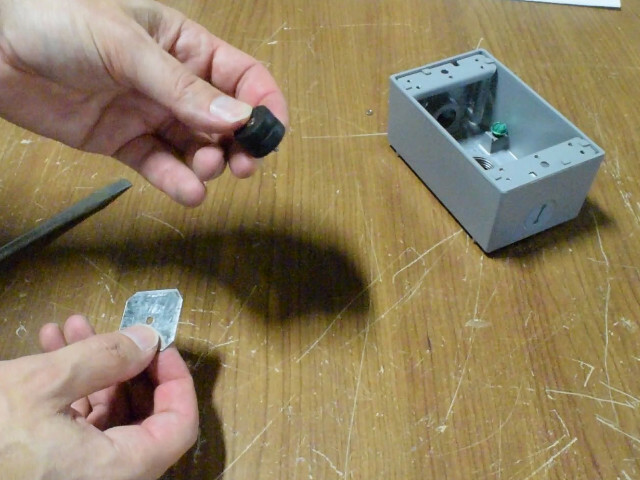 What can you make a magnetic cache out of? Screw two RC24DCSPC-BLK ring magnets to a steel plate with a #4-40 screw. Run a line of silicone around the conduit opening. 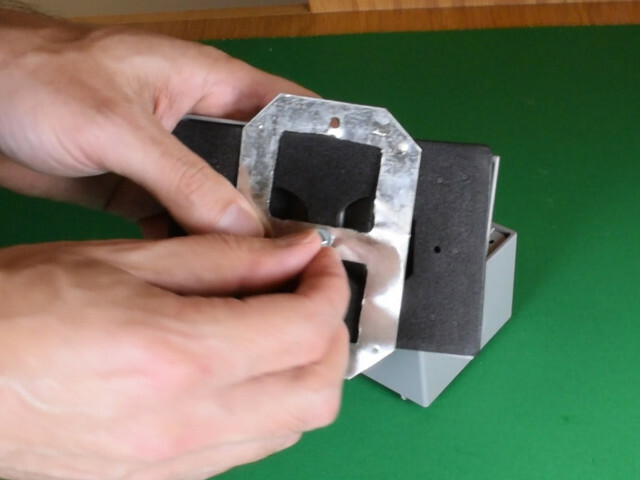 Inserting the magnet assembly into the hole. Attach a DIY intermediate plate to the front cover. Attach that same plate to the base. 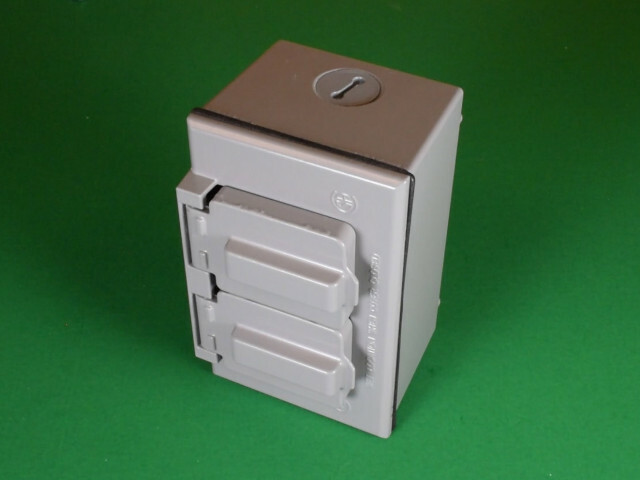 When complete, it looks like an ordinary outdoor plug enclosure. The exposed, plastic coated magnets on the back allow it to stick to a steel surface.